Why a Dining Hall Cookbook? Description: Tasty salad, including pasta, veggies, and more! Get your pasta and throw it in a bowl. Layer on some spinach and cherry tomatoes from the salad bar. Sprinkle on some feta. Toss some scallions on that (located in stir fry bar). Add olive oil, toss, and enjoy! Make waffles according to directions at station, add chocolate chips. Spread with peanut butter, drizzle with chocolate syrup. Add additional desired toppings. 3. Sprinkle peas on top of hummus- be generous! 5. Travel to the vegan section, if there's kale, pile that on too! 6. Smush slices, piled high, together and stick in panini machine for ten seconds. ENJOY! Description: It sounds strange, but hummus combined with flaked tuna is delicious--it's also packed with tons of healthy fiber and protein! Can try chicken instead. Mix hummus and flaked tuna from salad bar. Mix in small bowl. Spread onto bread slice, put on choice of toppings. Put into mouth and enjoy! Description: A few quick and easy combos, for a snack or meal! Combine french fries and guacamole. Combine froyo and monkey bread. Combine stir fry and lettuce. Description: A bagel that has your average turkey sandwich components with a surprise of guacamole! 6. Cut in half for easier eating and enjoy! 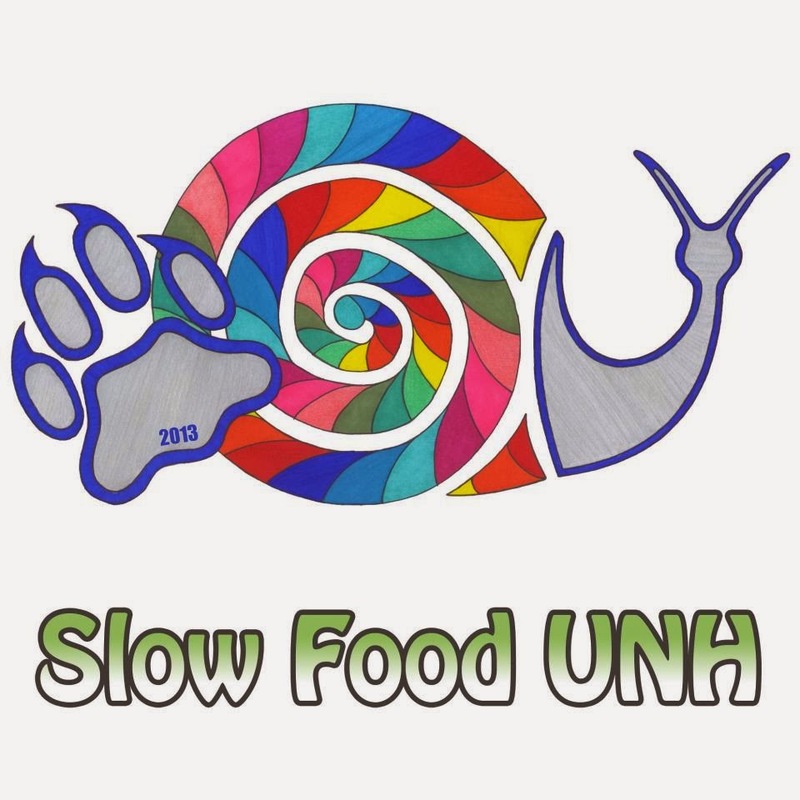 Slow Food UNH seeks to preserve and revitalize food culture on campus and in the community through education, celebration, and outreach.